Is This Hidden Architectural Gem Another “Blade Runner” Building? A location scout uncovers a veritable architectural treasure that most New Yorkers have walked obliviously past. Each day, thousands of people walk by 5 Beekman, a pretty yet unassuming building in Lower Manhattan, never guessing what could be found within. Scouting New York, a blog written by a location scout that’s a must-read for local history freaks, got invited inside for an incredible peek at an architectural gem that’s hidden in plain sight. 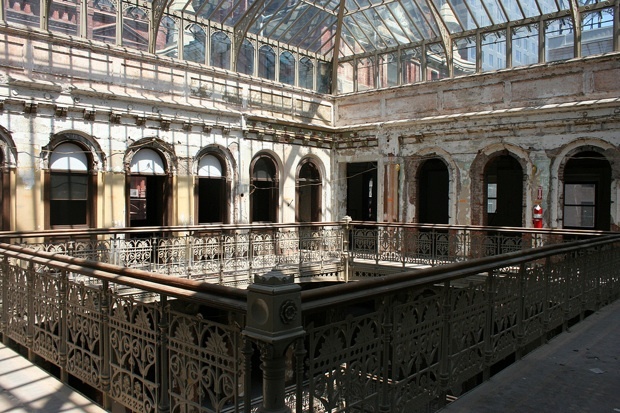 For nine stories, the ornate cast-iron railings twirl up and up through a light-filled atrium. The ninth floor is ringed with arched windows and topped with a gorgeous glassed-in skylight, with some pretty remarkable views of the neighboring skyscrapers. 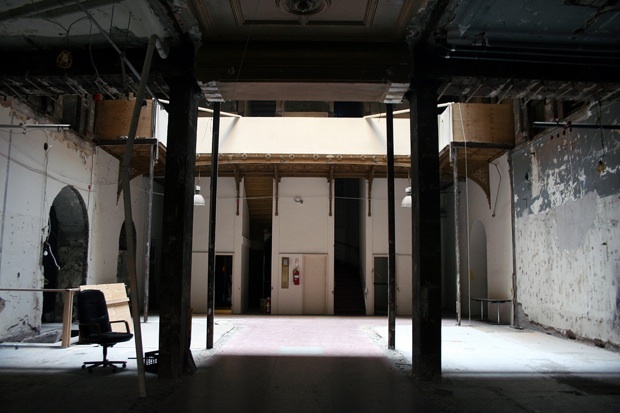 The atrium, and this entire portion of the building, has been boarded up since 1940 due to fire code violations. Ironically, this building was marketed as “flameproof” but an 1893 story in the New York Times reports a fire. 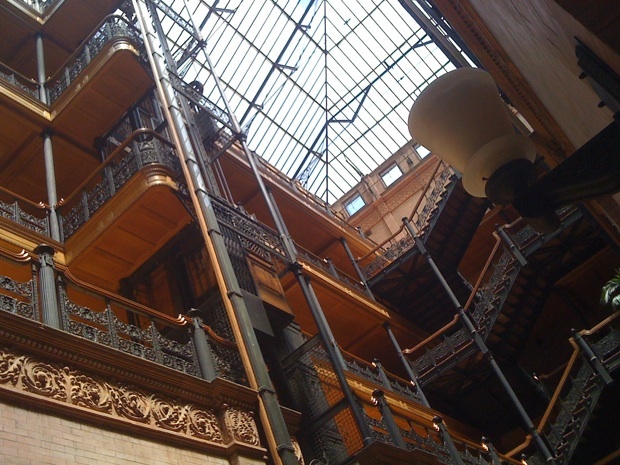 The use of brick, wood, wrought iron, and glass bears an uncanny resemblance to one of Los Angeles’s most beautiful structures, the Bradbury Building (above). 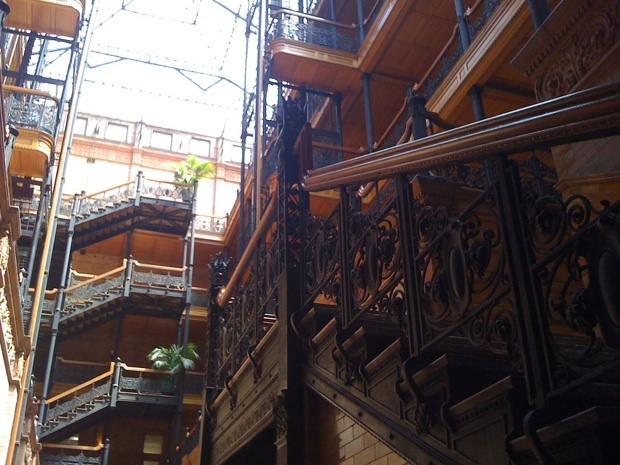 You may have seen the Bradbury Building in the movie Blade Runner, which was shot here in 1982 before the interiors were renovated–they looked a lot like 5 Beekman’s current state, so that might explain your Ridley Scott flashbacks. 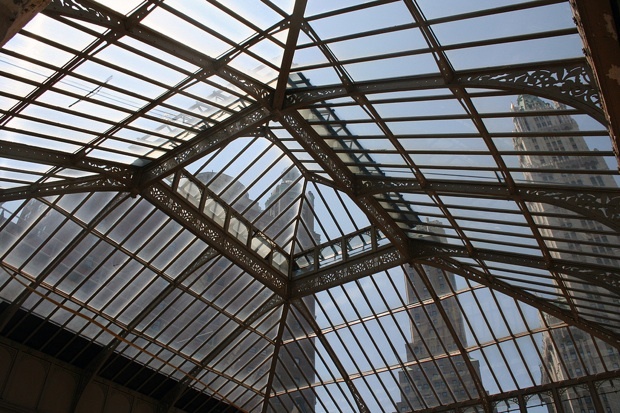 Is it possible that the Bradbury’s architect Charles Wyman also designed 5 Beekman? Not a chance. Wyman famously won the Bradbury job while working as an apprentice in Sumner Hunt’s office, having never designed a building before. 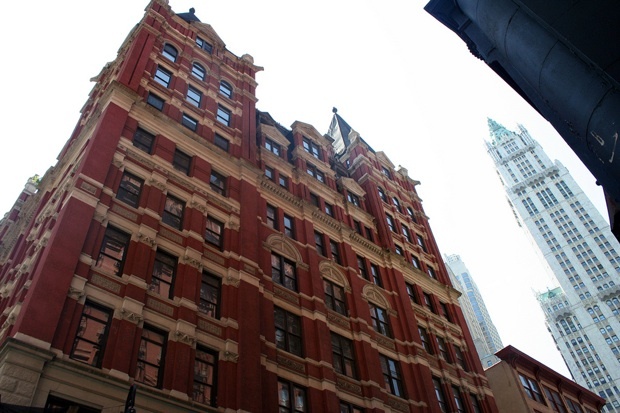 5 Beekman was finished in 1882, a decade before the Bradbury was built (and when Wyman was 22). According to the AIA Guide to New York (which just published a new edition), the architects of 5 Beekman were Silliman & Farnsworth, who completed a few other buildings downtown. 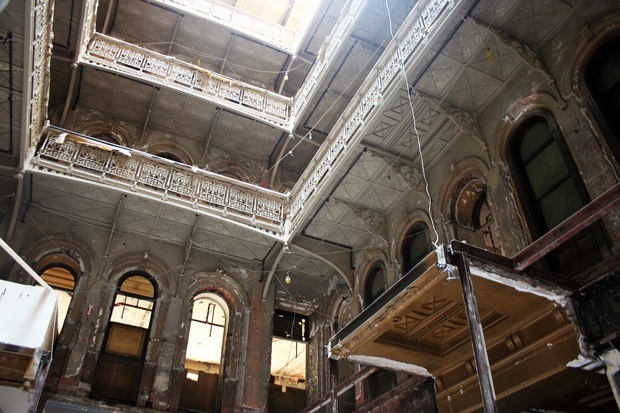 According to Scouting NY, the building’s new owners–who reportedly bought the structure in 2008 for more than $50 million—realize the importance of the forgotten treasure they’ve purchased and are hoping to completely restore 5 Beekman to its former glory as a hotel. 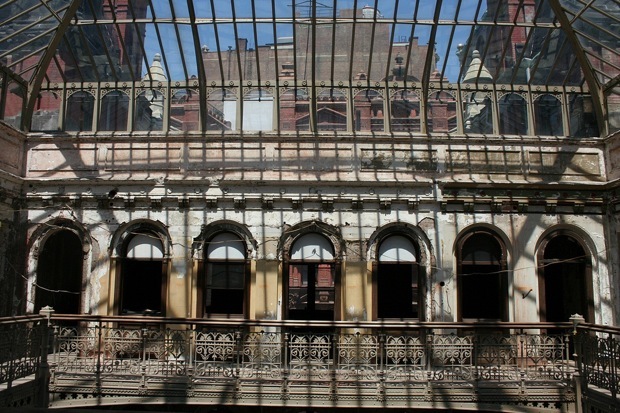 Maybe New York will get its Bradbury Building after all.